Success in Several Areas | Knit Like You Mean It. First off! 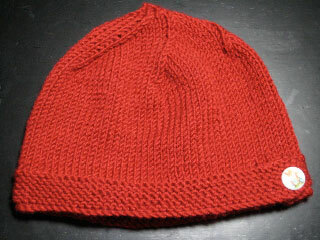 Brilliant student Lisa has sent me photos of her Cashmere Baby Beanie. Lisa was in a beginner class and then signed up for the beanie class, and somewhere along the way she found this awesome Peter Rabbit button to finish the beanie off. I feel like Hannibal in The A-Team: I love it when a plan comes together. The beanie class is fun because often I get to see students’ faces light up when they cast off and pull the tail through and suddenly…look at that! It’s a hat! OK, I have now used up my entire exclamation point quota for the month, so we’ll move on. Allysa sent me a photo of her first socks a while back, and now seems like a great time to post them. She was part of a beginner class that stuck together through first stitches, to beanie, to cable scarf…all the way to socks. Allysa’s in Iraq now, but she promises us she’s at a desk job and will be knitting up a storm until she comes back to us. Now, I didn’t have anything to do with these projects other than standing around and giving advice and encouragement. But I get a huge kick out of seeing them. I do love to see people knit, especially my students, people who hadn’t knit at all just a few weeks before. 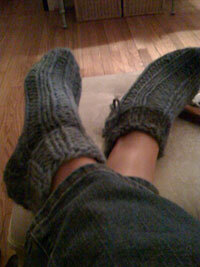 Which leads me to one more shameless plug: Teach Someone To Knit. 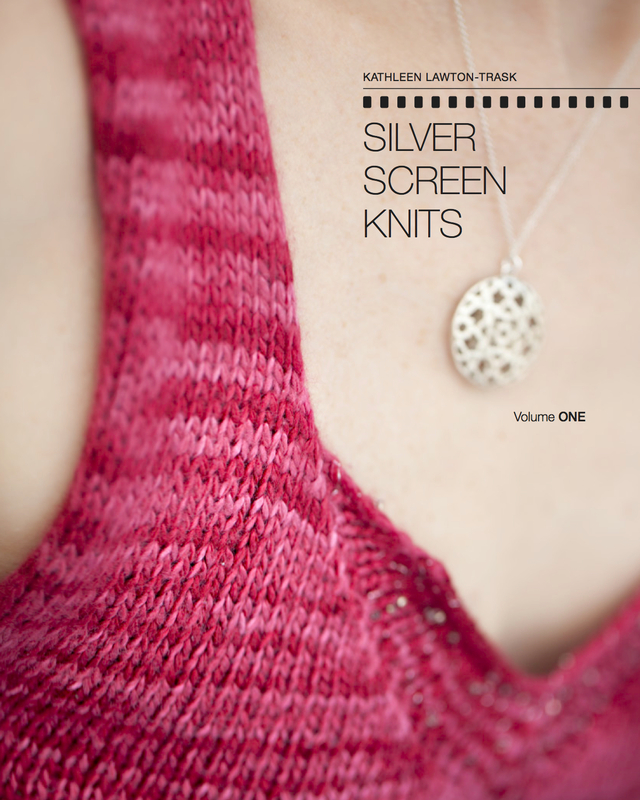 Angela at KnitLuck is making this happen, and it’s caught my fancy. An easy, inexpensive way to connect with a friend for an evening – and, if you believe Angela, it might just help the economy. Wowsers! 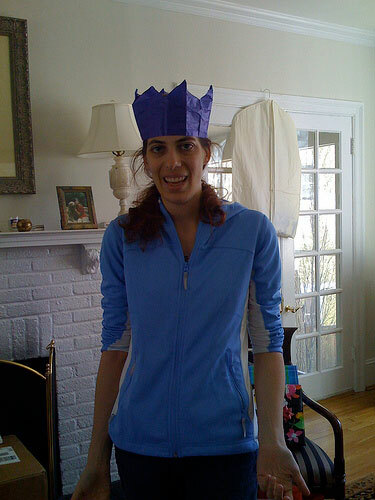 That's a nice hat. And, hey, there she is — my pledge victim. I’ll be teaching Stephanie to knit dishcloths, if our current plan holds, and she will Learn to Like It. We all had someone sit down and show us how the sticks and string go together. It seems like a little thing, and something you’ll get around to one of these days – but consider doing it this month, with the rest of us. Knitting has gotten me through some of the hardest times in my life. It demolished my writers’ block. It kept me from killing various relatives. It kept me afloat after Andy’s father and then my mother died. So – give someone else the tools they might need to get by. Give ’em the sticks, the string, and the stuff that brings them together.